One of the best ways to improve your photography is to study a multitude of photographs. The photography book remains my preferred way to look at photographs. Since books are meant to be lasting legacies, the editing standards are higher than those applied in online publication. Sequencing and design elevate the work, reproduction quality can be much better than most screens, which do not provide the tactility and the focussed, distraction-free experience of an art object. This highly curated selection from my bookshelves includes some of the most remarkable books of color nature photography ever published. It consists mostly of landscape titles that have been an inspiration to me. I’ve listed only one book per photographer, although some of them have authored many titles worthy of this list. Being classics, many of the titles are out-of-print, but they still compare well with work published today. Pairing Thoreau’s words with Eliot Porter’s photographs, this was an immensely influential book: the first of the Sierra Club’s large coffee table books, and the first book of color nature photography to enjoy wide success. Eliot Porter’s images show a remarkable sensibility to the subtlety of color, fitting for someone who was a pioneer in this domain. The photographs are all of intimate landscapes, a genre he helped firmly establish, with exquisitely precise composition. Link is to the 1st edition – the latest reprint is inferior. Ernst Haas, one of the great photographers of the 20th century, a star from the photojournalism-oriented Magnum agency, and a color pioneer, was not known as a nature photographer. However, by sequencing prior work from all over the world, he has managed to create a visual poem whole sheer originality and power remain unmatched to this day. Although more challenging subjects have been photographed since 1984, from a purely artistic point of view, Christopher Newbert’s book remains one of the finest collection of underwater photography. Natural Light, when published in 1990 based on Joseph Holmes’s exactingly masked Cibachromes from 4×5 transparencies was at the pinnacle of color nature photography. The beautiful intimate compositions still inspire. Philip Hyde’s photographs participated in more environmental campaigns than those of any other photographer. His color landscapes inspired a generation of photographers. 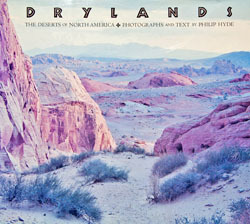 Drylands is the best produced and most ambitious of his books, covering all the five North American Deserts in the US and Mexico. David Muench has probably published more nature landscape books than any other photographer. Of all of them, I fell this one may be his best. 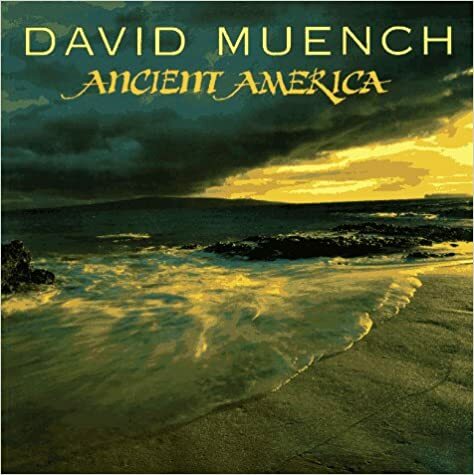 It represents the most adequately the breadth of his work, in an all-encompassing vision of primitive America which has been the core of his pursuit. The core of David Muench photography consists of grand landscapes and monumental subjects, often photographed with a wide-angle lens. Many of the images have a mystical quality. Jack Dykinga’s work, centered in the US Southwest desert, combines a documentary style with a sense of graphic design. This book was instrumental in raising the awareness of the beauty of the Escalante area, which was eventually protected in a new National Monument. One of the truly unique projects in all of nature photography. 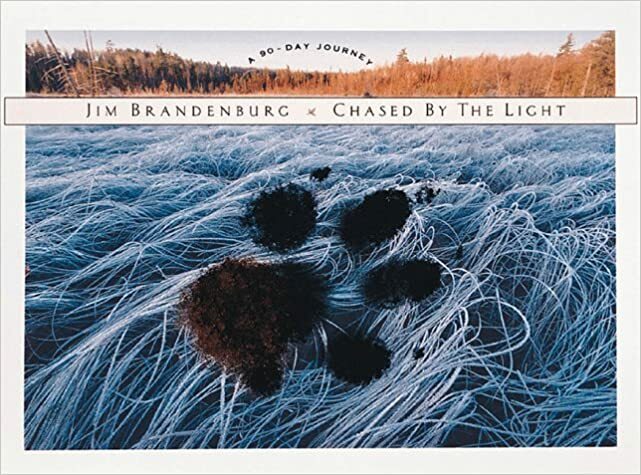 Roaming his beloved north woods for ninety days between the autumnal equinox and the winter solstice, Jim Brandenburg made only one photograph a day, with no second chance. The results transcent the self-imposed rules and offer a most personal depiction of the spectrum of nature and the passage of time. Christopher Burkett photographs intimate portraits of nature with an 8×10 camera. Although the compositions are classical, the images are colorful and exuberant. Self-published with the highest standards, this is one of the most beautiful photography books I own. Bernhard Edmaier reveals the beauty of a large cross-section of earth’s natural enviroments through aerial photography that focusses on abstract compositions. 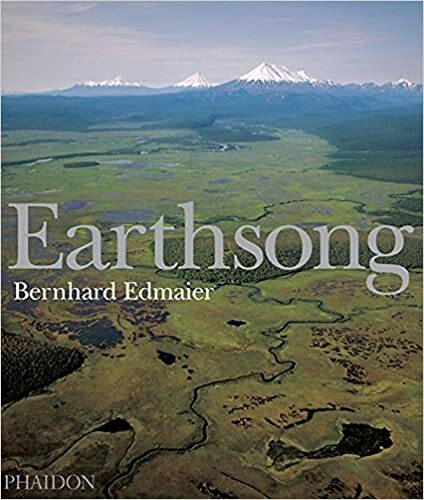 Yann Arthus-Bertrand’s Earth from Above was more influential, but it included many images of humanity’s impact, whereas Earthsong celebrates wild places and their interconnectivity. 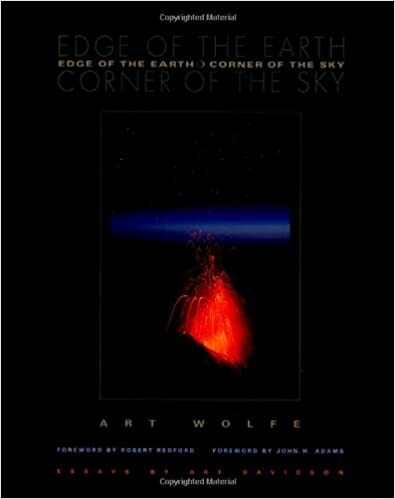 Art Wolfe’s is the most prolific nature photographer of his generation. While Earth is my Witness is the definitive survey of his work, this book remains his landscape masterpiece, often showcasing remarkable skies and creative exposure techniques that are all the more remarkable because they were done in the days of film. Like others of his large-scale projects, the book is organized by ecosystem. 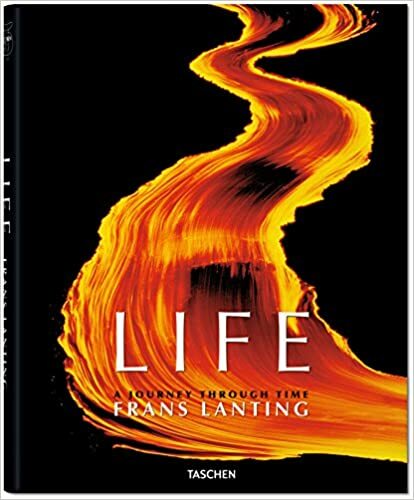 Frans Lanting made his mark in wildlife photography with his artistry. 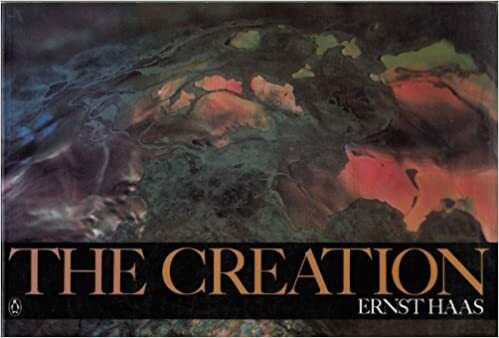 In this book, he provides an all-encompasing survey of the evolution of life on earth, from microscopic photos of microbes to vast geological formations, showcasing in the process biodiversity and esthetic convergences. The bold full-bleed design is typical of the art books by this publisher. 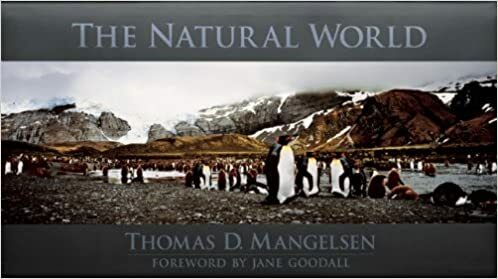 Thomas Mangelsen captured a few of the most iconic wildlife images of all time such as “Polar Dance” or “Catch of the Day”. In addition to the wildlife photographer’s telephoto, he also carried a panoramic camera, which allowed him to create sweeping landscapes that reveal the inhabitants of the natural world in their habitats, that span six continents and range the extremes of climate on Earth. The book uses an unusual format that works well with the panoramic images. Choosing very simple – even mundane subjects, Johsel Namkung reveals their beauty in a wealth of detail and texture. Informed by his musical background and his friendships with painters of the Northwest School, his photographs display repetitive but differentiated elements, rhythm of lines, as well as an uncompromising preference for abstraction. A superlative production in all aspects (trim size 16.5 x 13.25). 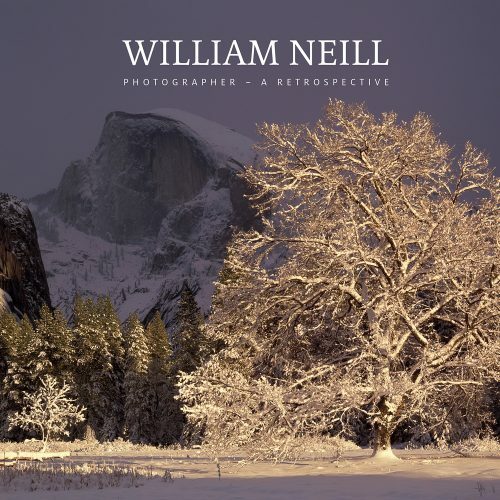 William Neill has been pursuing for forty years a pure and consistent vision of nature as a source of solace and spirituality. I originally picked up his Landscapes of the Spirit for this list, but then realized that I liked his new retrospective book so much more (review), so I am including it as a “future classic”, although it has been available widely only for about a month. Posted on May 6, 2018, 11:45 pm, by QT Luong, under Books. I have all of the above books except for three of these books. I think the hidden gem in this group is the Johsel Namkung book. It is without a doubt a superbly printed book and his subject matter can be very sublime. The Burkett book also is an exquisitely printed book. And both books feature the work of two very fine and talented photographers. This is not to take away from the other photographers on this list, they also are worthy of being in this group. 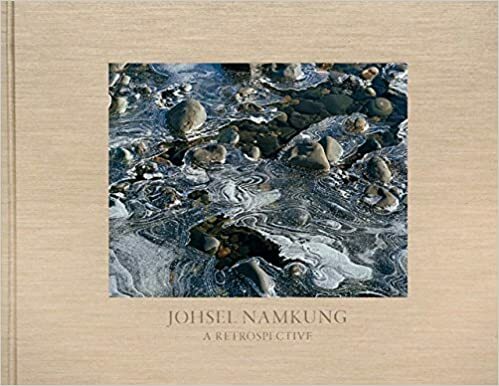 You are right, Johsel Namkung is not familiar to most photographers, and because of its high production values, the book is quite expensive too. I would have missed it back then, had I not been contacted by the publisher. QT. As Johsel’s publisher I am certainly glad that I did contact you with his book. And am very pleased to read Jim Becia’s comments. I was a close friend of Johsel for 43 years, until his passing in 2013, and feel that of all the photographers you have included on your list his work was among the very best. And yes the book is quite expensive, due to printing expenses, but I felt that his work deserved the best reproduction quality possible. I should note that we also had a hand in Art Wolfe’s book, providing scanning, color separations and printing supervision. Reproduction quality was paramount and we worked with the best printer we could find at the time. And unlike most of the photographers you have included, Art’s originals were on 35mm film. I’m always looking for photography books that teach and offer inspiration. This looks like a great list. I only own the Eliot Porter book, so it looks like I have a lot to buy. Thanks. Hi QT. Thanks for including my new book, and mentioned Landscapes of the Spirit, published in 1998. 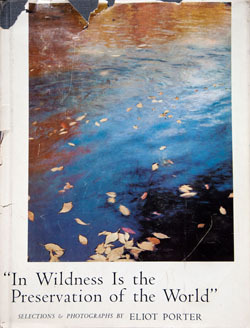 As for “In Wildness” for your Eliot Porter selection, I agree it is a beauty and very important environmental book. 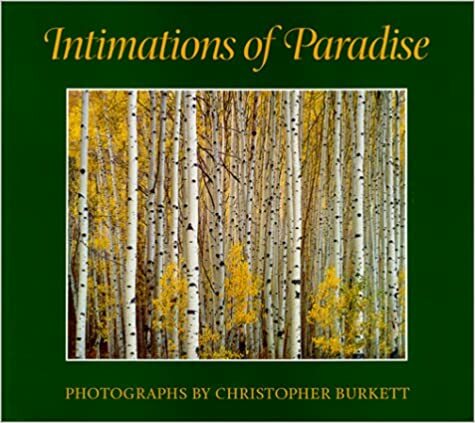 My fav of his is “Intimate Landscapes,” so I recommend checking it out too.